The word “inspiration’’ doesn’t do justice to the story of Trung Bui. His parents came to Australia from Vietnam in the 1980s. One of six kids, Trung grew up in the Housing Commission neighbourhood of Ashcroft, west of Liverpool. Now 31, this quietly spoken young man is successfully pioneering a new way in hospitality franchising with his Espresso Warriors. Last night he told the Ingleburn chamber of commerce that he was two years into a teaching degree when he realized that he was at university out of respect for his parents. “My parents wanted us all to get an education, but when it suddenly dawned on me that I had no interest in becoming a teacher I just chucked it in,’’ Trung said. After a stint in construction, he decided to establish a franchise business based on coffee. That was barely four years ago and now there are around 30 Espresso Warriors outlets, with a brand new one opening in two weeks at Emerald Hills, which is located across from Camden Lakeside golf course. 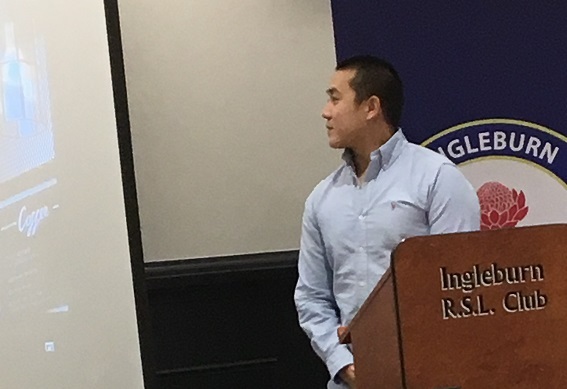 Trung explained how it took a few bumps and bruises along the way for him to come up with a franchise system that works for all stakeholders: himself, the franchisees, staff and the customers. “It’s a big challenge but it can be done,’’ Trung said. 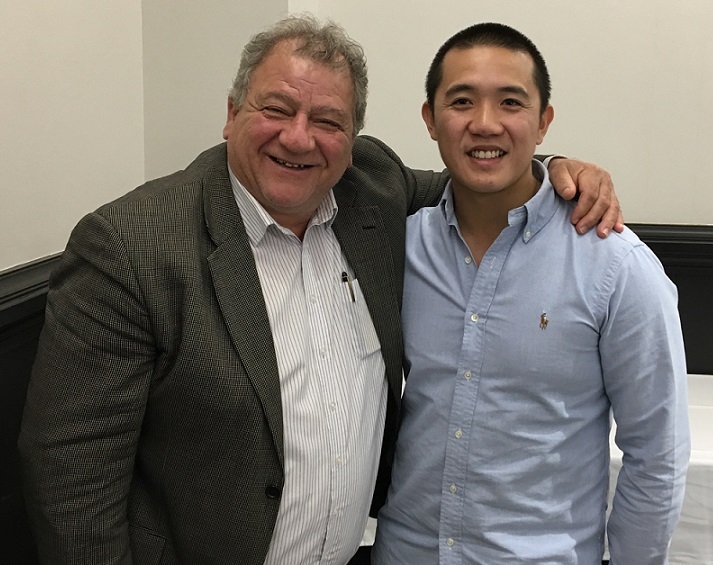 “We plan to take on the Brisbane market next,’’ he told the Ingleburn business gathering. If he had said he would be taking over the world next nobody would have doubted the kid who grew up in a Housing Commission area. Including this new media entrepreneur, who lined up to have a chat and a selfie with this great young man.